Summary: Kylie Jenner’s legal team reportedly have been called to halt a billboard campaign using a copycat model. 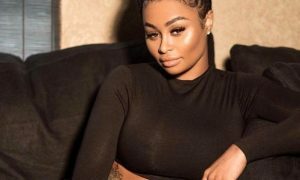 While millions of girls may be worshipping Kylie Jenner’s look, the reality star has a problem with models who try to capitalize off of her distinct appearance. According to TMZ, Jenner’s legal team has already launched an attack against a billboard campaign that is trying to sell a cosmetic procedure using a model that looks eerily like Kim Kardashian’s little sister. This weekend, a billboard advertising Coolsculpting popped up in Los Angeles, and the model they used looked just like Jenner from a distance. Even though the company used a copycat model and not a picture of Jenner, the Jenner-Kardashian family felt that the creators of the billboard were trying to get away with using her likeness without using her. Plus, any suggestion that Jenner, 19, needed a fat removal procedure to obtain her curves was not something she wanted her fans to think was true. For those unfamiliar with Coolsculpting, a technician puts a device on an area of fat that freezes it. After the device is removed, the frozen fat is then massaged down, and over several weeks, the body reportedly rids itself of the frozen fat cells, leaving a slimmer appearance. Jenner is a highly paid spokesmodel and has a successful lip kit line. She is famous for her inflated lips, which she has admitted look the way they do because of fillers. Her legion of young fans often try to emulate her appearance, which once inspired the dangerous fad “The Kylie Jenner Lip Challenge” where teens used suction devices to make their lips puffy. This is not the first time that a business has tried to make money off of the Jenner-Kardashian fame machine without using one of the actual siblings. For instance, in 2012, Kim Kardashian settled with Old Navy for their use of a Kim-lookalike in a commercial. She sued for $20 million, and before the parties could reach an agreement, the litigation got ugly when Old Navy launched a full investigation into whether or not the use of the model caused any damage to Kardashian’s reputation. The terms of the settlement were not released, but Old Navy did remove the offending ad from their Youtube channel. The Kardashian-Old Navy dispute did not fully resolve whether or not companies could get away with hiring lookalikes to shill their products, according to The Hollywood Reporter. Do you think it is fair for the Jenner-Kardashian family to hinder the careers of models that look like them? Let us know in the comments below.